As most of you know, I published my first print paleo book on January 1st: A Simple Guide to the Paleo Autoimmune Protocol. The response has been overwhelming. When you write a book, you put your heart and soul into it, hoping it will resonate with others, but you never know until it's out in the world. I'm both humbled and honored by what people have said. Here's a review roundup, and if you scroll to the bottom of the post, you can enter my gratitude giveaway! Did You Read My Book? Can I Ask a Favor? Would you take a minute to write a review on Amazon.com? Other readers count on those reviews to decide whether a book is worthwhile. Just login to Amazon and then visit my book's sales page. Scroll to the bottom, and you'll see a button that says “Write a Customer Review”. It would mean the world to me! Reader reviews touch my heart the most. You are the reason I wrote the book. If You Bought My Book, You're Eligible for Freebies! I created two printable PDFs exclusive to people who buy the book. One is the AIP Food Pyramid (Foods to Eat) alongside a list of the Foods to Avoid. You can print it for your fridge as a daily reference. The other is a printable grocery list, which you can take with you each time you go shopping. To get the PDFs, just email me your receipt through my contact page. Update ~ The Giveway Has Ended. The winners were chosen with a random number generator on 2/14/16. Congratulations Julie, Christina and Malgorzata! If you didn't win, don't despair. All of the prizes are available for purchase. I'm so grateful for the warm reception my book has received, I want to pay that gratitude forward. So, I'm giving away some free copies of my book and ebooks, along with some of my very favorite AIP Convenience foods! Have you tried Wild Zora's Lamb Rosemary Bar or Paleo Angel's Power Balls? They are perfect emergency snacks to carry in your purse or car, and I always bring some with me on vacation. I can personally vouch for how delicious these are, and they are 100% AIP – no forbidden ingredients. One winner in the USA will win a 12-pack of the delicious, AIP-Friendly Wild Zora Lamb Rosemary Protein Bars, along with a paperback copy of my book! 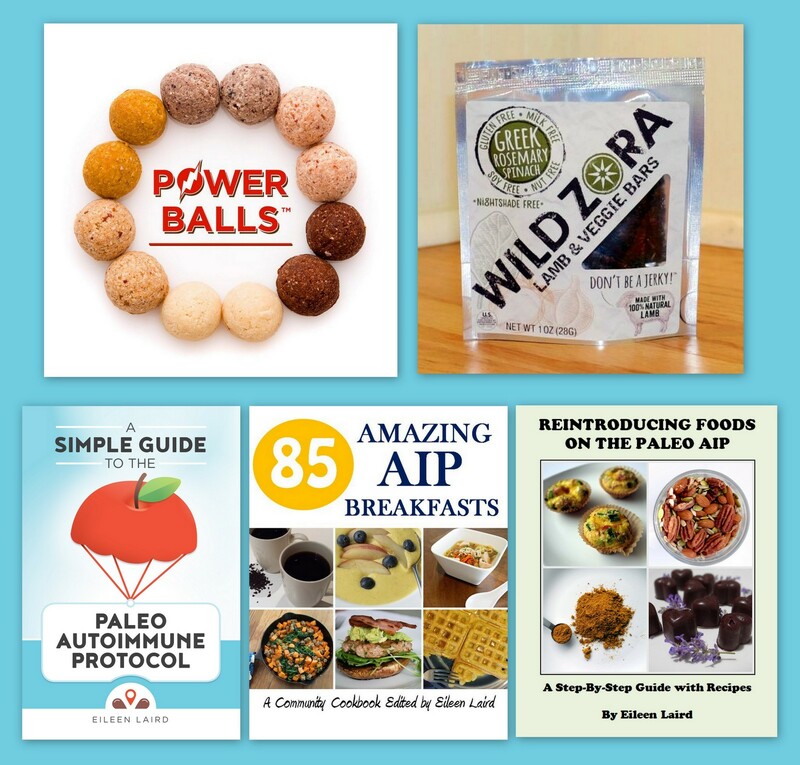 A second winner in the USA will win an 8-pack of the delicious AIP-Friendly Paleo Angel Power Balls, along with a paperback copy of my book! And I love my international readers as well! So one of you will win a PDF e-book package of all 3 of my books: A Simple Guide to the Paleo Autoimmune Protocol, Reintroducing Foods on the AIP, and 85 Amazing AIP Breakfasts! (I'm sorry – we can't ship food internationally). P.S. If you don't win the giveaway, The Simple Guide to the AIP is available for sale internationally through The Book Depository with free shipping, and my other books are available as ebooks through my website! 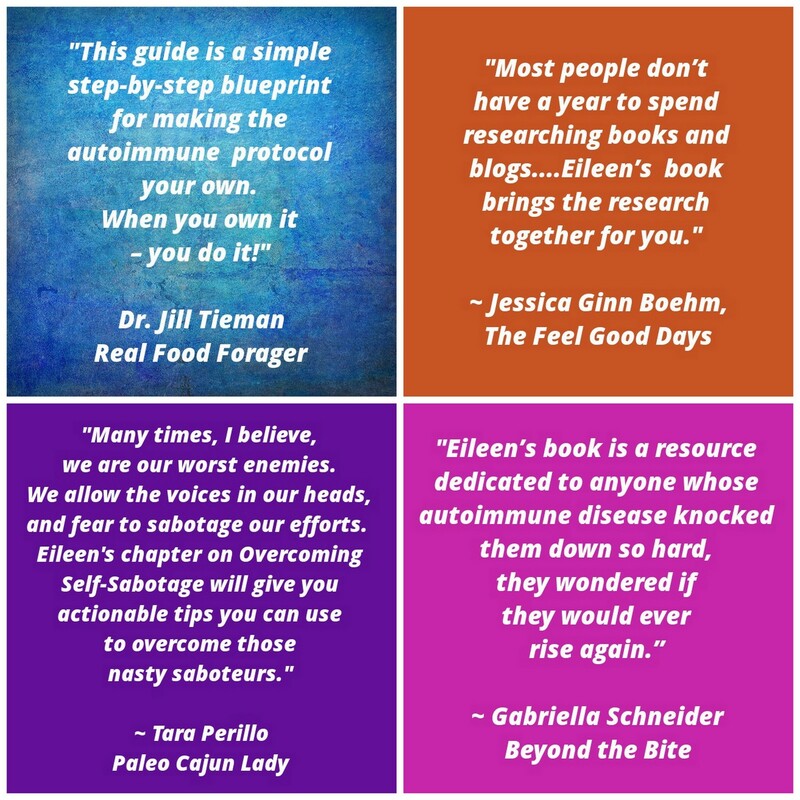 Even if you already have my book(s), definitely enter the giveaway, because it's so rewarding to share these resources with someone in your life who has autoimmune disease, or with family members who want to know more about your healing protocol. Here are the rules for entry: Just write a comment below, letting me know the following: (1) Are you entering the US or International Giveaway? (2) If US, which do you hope to win – the Wild Zora bars or the Paleo Angel balls? (3) How has the AIP changed your life, or how do you hope to have it change your life? The winners will be chosen randomly on Sunday 2/14/16. Good luck!